Left 4 Dead creator's new FPS is "wild"
Raises the bar set by L4D, reveal this year. The next game from Turtle Rock Studios raises the bar it set with superb zombie shooter Left 4 Dead, according to publisher THQ. 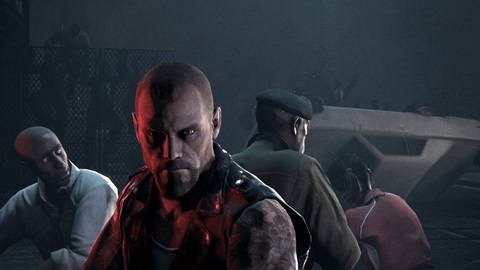 The developer is famed for creating Left 4 Dead, which was picked up by Portal maker Valve and refined for release in 2008. Valve acquired Turtle Rock, but the developer surprisingly re-materialised last year under the guidance of its original boss, Michael Booth. Last month THQ snapped up publishing rights to Turtle Rock's 2013 first-person shooter and now the hype has begun. "It's incredible," THQ core games boss Danny Bilson told Eurogamer at E3 this week. "It's an incredible design. I can't wait till we share the concepts of that game, because there is some gameplay in there I've never played before. "Those guys are really smart. They were the Left 4 Dead team and that was fun. This one's wild. I can't wait to share that one. People are going to go nuts. It's the most well-thought out design from the beginning I've ever seen. "Everybody, when they hear that design, unanimously they just go, wow. I promise you'll do the same when you hear what that game is." Turtle Rock and Valve's Left 4 Dead was one of the games of 2008. Its four-player survival co-op gameplay won critical and commercial acclaim. "This one moves that bar up," Bilson said. "It's our job to resource that properly so they can make it to the highest quality. That's all we can do. Those guys are really smart." Bilson confirmed to Eurogamer that a full reveal of the shooter is due this year.